Hohner B2 bass | Gear Acquisition Syndrome!! The Goo Goo Dolls were telling us all about some girl named “Iris“. Alanis Morissette was incorrectly schooling us on what “Ironic” means. And Oasis? They were making me sing right out loud and proud whenever their “Champagne Supernova” came on the station. All in all, it was a good year for music. And a good year to MAKE music. Which is why that year… I bought a Hohner B2 bass! It’s now (amazingly!!) 22 years later, and my little headless friend and I are still at it, bringing song ideas to life… with some solid low end. 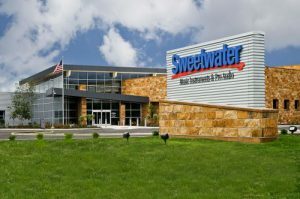 I was working in the 90s at Sweetwater Sound, the best pro audio store in the country (IMHO!). Not only was their selection vast, but their knowledge base and professional staff were just what I wanted to take my sound understandings to the next level. After work hours, I continued my lifelong pursuit of songwriting -and the accompanying privilege of recording those songs I wrote to capture them for all time in whatever format was available at the time. That year… it was digital DAT. Regardless, I ended up typically not satisfied with how the bass parts of others meshed with my material. 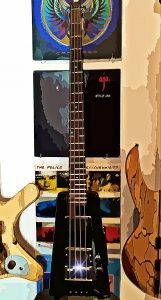 Rather than complain, it was time to step up and put my fingers where my dissatisfaction was – it was time to get my own bass! He brought it in the next day for me to test drive. He said he’d used it for years, that it was bought sometime around ’91, although it was made around 1988. It still looked in great shape, so five years and my friend’s hands had treated it kindly. We plugged it through one of the amps there at the store and I played through some changes. I liked it! I was impressed by its unique look, lightweight feel and stable, consistent sound. I think I recall him asking me for $200. Well, that was just my kind of “affordable”, so the deal was done. I took that puppy home and started immediately scoring out a bass line for my latest tune at the time, which was called “Long Way Down”. I soon discovered that I really liked writing bass lines. It was so different from playing guitar, yet, at the same time, just as gratifying. Within a couple weeks I was in a local studio putting down the guitars, bass and vocals. A drummer for hire did the rest. I still have the recording. In prep for this article I pulled it up and listened. It sounded even better than I remember: full-bodied, rich… with just enough transient sheen to keep the notes sounding well-defined but not ostentatious. Another solid bass track for posterity – CHECK! The Hohner B2 is basically a visual clone of the famous Steinberger L Series basses that came to be so acclaimed in the 80s. The first bass Steinberger made, the L2, was introduced at a N.A.M.M. show in 1979, where he sold three prototypes, including one which was bought by one of my favorite bass players, the greatly inimitable Mr. Tony Levin. Most surprising, the guitar headstock was… missing!! They didn’t need one! 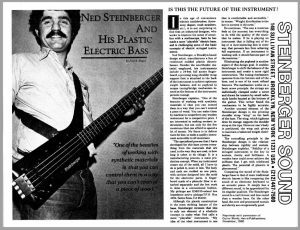 Not so surprising then that, two years later, Time Magazine was giving the Steinberger Bass the honor of being in its “Top 5 Best Designs Of 1981”. Quite the BIG splash for the young upstart! People kind of either loved or hated the Steinbergers. Because of design and graphite materials used, the basses sounded ultra clean, precise and tonally even. This was either a blessing, or a curse, depending on your tonal and technical preference. As we all know in the world of merchandise, if it’s popular… there will be knock-offs. Both here and in other countries. In line with that truism, there are plenty of other companies that have copied these esteemed basses throughout the years. Hohner, however, was the only company at the time to actually LICENSE their product designs through Steinberger, essentially getting their permission to copy their look, if not their unique sound. For that reason, many of the parts on the B2 bass come straight from the Steinberger company, the most important being the rock-steady bridge and tuner assembly. The leg rest that folds out from the body also came from Steinberger. The biggest difference between the B2 and a real Steinberger is the body: the Hohner sports an all-MAPLE body – specifically, it’s a full-scale one-piece maple neck and body that is complemented with two maple “wings” that are attached on either side of the strings to give it that “oar shape” look. The Steinberger, on the other hand, saved a lot of trees – it consisted, as mentioned above, of a one-piece, completely man-made graphite epoxy body. This big change gave the instrument a much different EQ spectrum and sound, and is what separated it from all other basses (and later guitars too) from that time period. Because the Hohner is made of wood, it sounds, by comparison to the Steinberger, much more like a normal bass. Listening back to the first bass track I did with the Hohner, for example, gave me no impression that the bass used was at all unusual. It sounded much like what some of my other “normal” basses sound like. 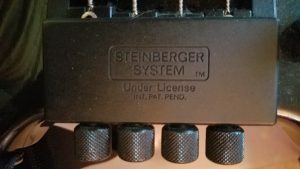 The Steinberger L2 also had real EMG pickups and active circuitry. The B2 is rather a completely passive instrument, with no active circuitry. It has two humbucking pickup but they are not EMG; instead they are some of Hohner’s own pickups. They work well, though your range of tones is limited. One other difference between the Steiny and the B2 is the answer to the age-old question: “How’s it hangin’, bro? !” See, the two companies used different strap placements. This actually ends up putting the B2 at a disadvantage – when playing with a strap the neck feels longer than a normal bass, just because of how it sits against your body. In other words, if you closed your eyes and went for what you would normally know as the first fret, you’ll end up on the third fret. The first fret feels farther away than any other bass I’ve ever played. The Steinberger, with its different strap tab placement, didn’t have this problem. There are numerous hacks, like Augusto’s HERE. Or you can buy the Steinberger strap extension, but, it’s, uh… $150 last time I checked. I think Augusto’s hack is a muuuuch better option. Or just get used to it like me. Seriously, I just laid tracks with it this week. At first, yea, it felt a little weird, but in a few minutes I hardly noticed it. So you reach a little further? Big deal. It’s about the sound, man… ! So what’s the difference really?? Well, if you like the LOOK of the Steinberger axes, but prefer a more “traditional” sound, then the Hohner clones are a great choice for you. If the Steinberger SOUND is what you’re after, then the Hohner won’t take you there. 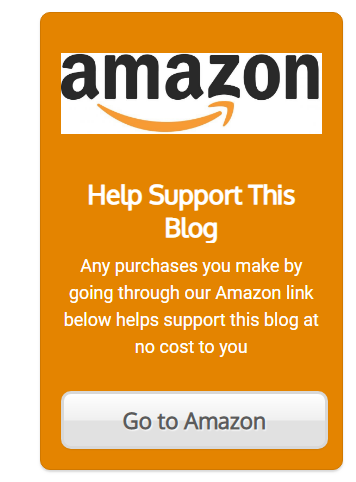 You’re simply going to have to spend the extra money (and I mean a LOT more extra money!!) and get a real Steinberger. 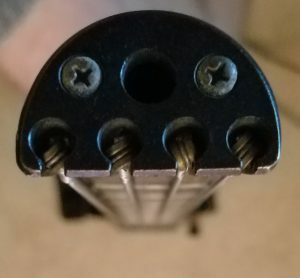 It doesn’t give you a lot of options. 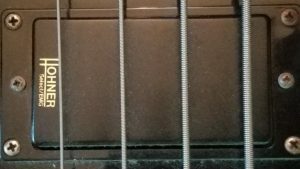 Instead, if you want a good, usable bass tone right out of the gate, you’ve got two pickups that give you two approaches immediately. Pick one and you’re off to the races. I would say the Hohner is a little more mid-range strong than other basses. This is probably because of it being made of maple and having a smaller body. This mid-range power I find to work really well in the context of a modern pop or rock band. It stands out just enough without muddying up the floor, so to speak, with its pal the kick drum. Want a bass that can sound like anything?? Then the Hohner is not for you. It’s humble in that way; no ostentatious posturing here, just two basic track-worthy tones… but with a look that’ll turn heads every time you play it! Yet another way that you’ll be veering off the beaten path by buying either a Steinberger or any of its licensed (or even UNlicensed!) clones, is that you will not be buying regular bass strings anymore. Instead, you’ll need to buy “double ball end” strings. This string difference is one of the ways Steinberger was able to revolutionize the industry. Of course, it also was in his best financial interest to create this new kind of string, since his company could sell it at a premium price, before the patent wore out and all the other string companies could make their own versions. These days you’ll have to shell out anywhere from $30 to $70 for a set of strings, which isn’t bad at all considering how long they last. When the Steinys first came out the strings were WAAAAY pricier, so thank heaven for the free market economy and time! How Deep Is Your… Wallet?! 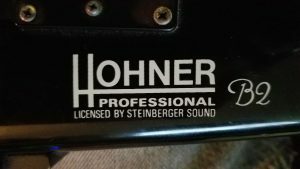 If you wanted to get a Steinberger bass back in the day, you would spend HUNDREDS more than the Hohner licensed model. Perhaps even a THOUSAND dollars more! This is why I never seriously considered getting a real Steiny… they were (and still are) too @#$!% expensive. Even today, if you want to pick up one of the original L Series models (not the cheaper and lower-in-quality “Spirit” or “Synapse” models), you’re talking over $1,000, easy. Is the Steinberger a superior instrument in many respects? I’d definitely say “yes”… but you pay BIG TIME for those superlatives! If money is no issue to you though, and you want the bass that started all the fuss… the REAL DEAL, then I suggest you contact Don at HEADLESSUSA.COM. If what you want is available anywhere, Don will know, and he’s got an excellent reputation for going above and beyond during the sales process. I must warn you though – the price tags are not for the faint of heart. If you want an authentic L Series Steinberger you’re talking upwards of five to nine THOUSAND dollars. See. Not for the faint of heart indeed! On the other hand, you can get a Hohner like mine, or even one of the higher models that feature active pickups, or sweepable EQ, for LESS than a thousand. Check EBay or Reverb.com for your best options. In fact, I see quite a few going for less than $500 RIGHT NOW. Yes, the sound will be more what you expect, a wooden body tonality. 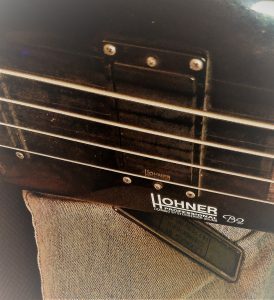 But unless you are absolutely sold on the Graphite Epoxy sound, the Hohner did, and continues to do, an excellent job, both in the studio or out live. Since listening to the B2 bass on the recording I did in ’96, I was so pleased with its sound I decided to get it vibratin’ once again and use it to lay down a bass track on an upbeat, happy Sheryl Crow-type song I wrote last week. See if it still has that maverick mojo, ya know? Once again, I am pleased to say the results are everything I hoped for! It performed consistently and magnificently. I used mostly the neck pickup, although with about 25% of the bridge pickup also in the blend, and the tone knob was all the way up into treble land. Sitting in my mix right now, it has the perfect tone for this easy summer pop tune. And just so you know, I don’t ONLY play basses that are light as a feather. If you read THIS POST about my Bass Mods bass, you’ll see what I mean!! Hope you enjoyed this look at a rare beast in the audio world, still alive and kickin’ it in the studio, with that 80s, flashy styling – the Hohner B2 Bass! Do you own a Steinberger or a Hohner? Perhaps even one of their 6-string guitars?? Or perhaps a model with more bells and whistles to fiddle with and direct your tone?? Tell us about it in the comments. We’d love to hear YOUR story! Until then, you know what to do: slip on your favorite axe and go… make… sounds!! Wow, Stub… I just looked up that Jack Custom V. What a fantastic-looking bass, man!!! I’d take that in a heartbeat! I’ve had my B2 since about ’87, it had previously been converted to a leftie and then I took it back again. The high output from those humbuckers is great and it plays so easily. A few months ago I found a Jack Custom V – the five string, active ‘Status’ style version for £130 with hard case, strap and even a usable lead thrown in 🙂 How could I say no? A totally different bass, but just as high quality. Probably the best ‘cheap’ basses ever made?